Planning the perfect nursery for your little bundle of joy is one of the great pleasures of parenthood, but it can also be a little stressful if you don't have a great system for keeping ideas organized. 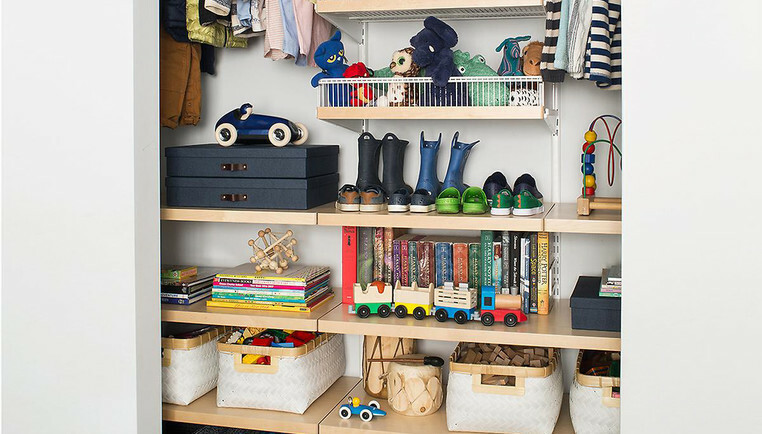 Here are some helpful hints for staying organized when planning your baby's special space. It's definitely a good idea to determine your budget for decorating the nursery early in the process. Identify how much you want to spend on furniture, bedding, painting and anything else. Consider any changes you might want to make in the future and how items you use today can work well into the future — think convertible beds and themes that are suited for both newborns and toddlers. Utilize a calendar to keep track of your nursery timeline. Working back from your due date, you should plan and schedule things like painting the nursery, ordering/delivery of the furniture, baby-proofing the space. Include the dates when friends or family will be available to help with certain tasks. If you're looking through parenting or design magazines for inspiration, use expanding files to hold tear sheets — choose multi-pocket files so you can organize by paint color, crib style, bedding, budget, etc. Make sure it's portable so you can take it with you on shopping trips. When you're out and about, take pictures of displays you see that you like. When shopping or browsing online, sites such as Pinterest can make it easy to categorize and view ideas found on the web. If you've registered for items for your nursery, check your registry shortly before your due date to make sure you've got everything you'll absolutely need for baby's first days at home. Ask a friend or family member to pick up things like a receptacle for diapers, laundry hamper or changing pad if you haven't received them already.